In today’s world, where IT is consumerized, end user expectations from Enterprise business systems have also changed. Our customers understand that systems which are built around user needs not only provide better user satisfaction, but also business benefits like higher productivity and lower response time. SAP Fiori enables simplification of SAP’s user interface and at the same time opens the doors for Enterprise Mobility. SAP Fiori is the new face of SAP’s enterprise applications. It applies the latest design principles to deliver a personalized, role based, responsive and optimized experience across devices and deployment options. SAP UI5 is the technology behind SAP Fiori which is based on the latest open source web development platforms. EXA can help you modernize the user experience of your SAP software through a portfolio of SAP Fiori and UI5 services. EXA has a wealth of practical experience with SAP Fiori/UI5. We can address your needs using either a factory approach (with standard controls and design patterns), or we can develop specific Fiori UIs (using custom controls), tailored to your needs. Our delivery experience and collaboration with SAP product teams ensure that your solution is cutting edge. Our Fiori portfolio covers six elements (listed below). We can support you in the implementation of the standard Fiori applications. SAP currently offers close to 800 Fiori applications across various lines of businesses, industries, and roles. We can identify the right applications for your specific scenarios, analyze the fit, and deploy these in your landscape. We can also support you in enriching already deployed SAP Fiori applications in your landscape by using SAP’s prescribed extensibility guidelines in the standard Fiori Applications. We can support you in customizing Fiori applications in line with your company branding using colors, images, logos, and themes based on your corporate and marketing assets. We can build new Fiori applications which are not part of the existing SAP Fiori portfolio following the standard Fiori design principles. 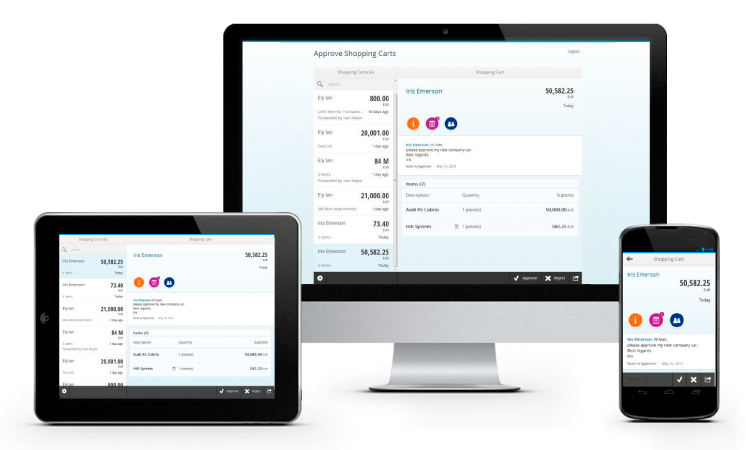 The custom applications are closely integrated with the SAP Fiori Launchpad and can support seamless navigation between standard and custom applications. We can also build standalone custom SAP UI5-based applications as point solutions within an existing landscape with multiple UI technologies. We can provide maintenance and support services for your existing implementations. With our proven expertise and experience in Fiori Development and consulting, we can surely help to minimize your incremental TCO for Fiori deployments. The Fiori experts at EXA can also provide expert consulting and advisory services for defining a UX/ mobility strategy, setting up Fiori/UX programs, deciding on solution architecture, designing technical architecture, and planning enhancement projects. The Fiori competency team at EXA has expertise and experience in the end-to-end implementation of Fiori and mobility solutions for your enterprise. We have a strong team of Fiori developers, Fiori consultants, solution architects and program managers, who can assist you with the implementation, custom development, and maintenance of Fiori applications. The Fiori developers at EXA have deep understanding of technologies and frameworks required for development and extensibility of all Fiori Archetypes (Transactional, Analytical, Fact sheets and Smart Business). Our Fiori consultants have implementation experience in LOB specific applications as well as cross LOB applications. We have end-to-end implementation knowledge ranging from project preparation, scoping, and installation to configuration, deployment, and rollouts. We focus on striking the right balance between best practices and user centricity in order to simplify user interaction and maximize end user productivity. The Fiori process experts can help optimize and simplify your business processes by leveraging the technological advances in UX and Mobility. These experts first get to know and understand your business process, identify key issues, identify solutions and then choose the right solution. Our consultants are well-versed with ‘Design Thinking’, ‘UX advisory’ and ‘User Story Mapping’ Methodologies.